Electronic waste or E-Waste describes discarded electrical or electronic devices. Used electronics which are destined for reuse, resale, salvage, recycling or disposal are also considered E-Waste. Electronic or E-Waste may be defined as discarded computers, office electronic equipment, entertainment device electronics, mobile phones, television sets etc. Rapid changes in technology and changes in media have resulted in a fast-growing surplus of electronic waste around the globe. Society today revolves around technology and by the constant need for the newest and most high-tech products; therefore we are substantially adding to the mass amount of E-waste on our planet. In an effort to safeguard and improve our environment AWA Refiners Ltd have established a precious metal refining operation to get the best out of electronic waste and ensure that all materials are recycled to 100%. Now in their 26th year of trading, AWA Refiners can safely say they are one of the leading processors of precious metals and circuit boards in the Uk. 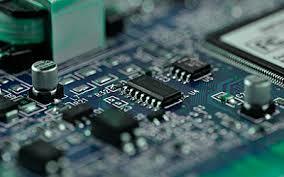 Electronic scrap is broken down by many IT asset disposal companies around the Uk. These companies strip down the E-Waste and remove items such as circuit boards, RAM, CPU’s and Hard-Drives. These items are then bulked up and collected by AWA Refiners Ltd. These items then make their way to the AWA site where they are sorted and weighed. They then move through our recycling plant where they are fully shredded (ensuring complete destruction of any data contained) and end with complete refining. 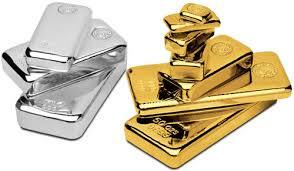 Precious metals such as Gold, Silver and Palladium are recovered along with copper. The remainder of the materials go into the plastic recycling stream. Due to the recovery of precious metals and their worthwhile value, this enables AWA Refiners to pay top prices for circuit boards, top prices for hard drives and top prices for RAM.